I thoroughly enjoy Black Mirror both as a general concept and in the execution of its individual episodes. While there are a few duds and the series is a bit ham-fisted with its moralizing much of the time, it ticks a lot of boxes for the criteria I use to judge a television series. It's entertaining, balances out optimism and pessimism, examines the crucial intersection of humanity and technology, and provides talking points for very real ethical dilemmas. My least favorite of the season was overwhelmingly "Crocodile." In fact, this is the only one that didn't make it into the positive category on my "is this good?" initial test. I'm not alone in my distaste for the episode. 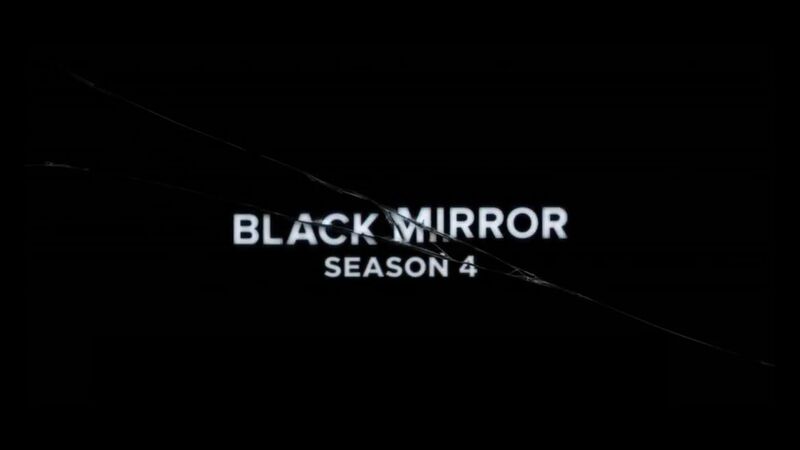 David Sims writes: "I don’t know if I’ve ever been as frustrated by an episode of Black Mirror as I was by “Crocodile,” a miserable hour that left me both emotionally and intellectually unfulfilled. . . . It is, undoubtedly, relentlessly depressing. And yet it also didn’t seem to have much of a deeper point." That pretty much sums it up for me, too. Crocodile opens with a couple drunk driving through open countryside when their car slams into a cyclist, killing him instantly. The male driver of the car convinces his female passenger to help him dispose of the body in a nearby lake despite her insistence that this is a terrible plan. Flash forward 15 years later, and the woman (Mia) has made an incredibly successful life for herself as an architect as well as a nice family with a husband and son. When the driver from the past accident shows up in her hotel room to tell her he's going to anonymously write to the widow of the man he killed, she freaks out about the possibility of getting tangled up in the murder investigation that would likely follow. To avoid the possibility of being discovered as the accomplice to vehicular manslaughter nearly two decades in the past, she murders her friend with a display of brash (and completely unrealistic) violence. The technology part of the show doesn't make an appearance until it's well on its way, and then it takes a long time to fully reveal itself. We see an insurance investigator who is trying to find out the details of a crash involving an automatic pizza delivery car. To do this, she uses a standard-issue device that reads people's memories, subjective data that she uses to piece together a more complete picture of the accident in order to help her company with lawsuits and assigning blame. Mia had witnessed the accident right after she killed her friend, and the insurance investigator eventually finds her, hooks her up to the machine, and sees the memories of her murder. Mia, completely terrified that she will now get caught for that murder, ties the investigator up in her shed, tortures her with the fact that she will also hunt down her husband and kill him, and then bludgeons the investigator to death with a log. She vomits, which I guess is supposed to show she doesn't like beating people until their brains are exposed, but she drives 50 miles and breaks into the investigator's house to quietly sneak up on her husband and beat him to death with a hammer. Then she notices their infant child and murders her, too (off screen, thankfully, but probably with the same hammer). The twist is that she forgot to kill the guinea pig, and we see police hooking it up to a memory machine just before the episode ends. I don't have a problem with gore or nihilism, but this episode fell flat in so many ways. Mia's motivations made absolutely no sense. There was no development of her character before or after she snapped that would give us a lesson from her actions. On top of that, I'm pretty sure that murdering four people with your bare hands in the span of two days is the kind of thing we can already investigate and prosecute pretty well, and that's without the help of memory machines that makes every passer-by who might have driven past your car as you made this 100-mile round-trip murderous trek into photographic evidence. The plot feels lazy, and the end reveals that the child was blind, a line that felt like it was supposed to be packed with meaning that they forgot to write (or maybe got cut out in editing). Finally, the guinea pig felt like a glib joke in the middle of what was otherwise played as a pretty straight, serious piece of writing. It just didn't work. Any of it. I already wrote a post analyzing Arkangel as a piece of commentary about modern day parenting and the constantly renegotiated boundaries of privacy. I won't re-hash the plot summary and analysis from there. It was a little surprising to me that this episode ended up so low in my rankings because I really did enjoy it. It was meaningful and interesting, and I felt invested in the characters and their stories. The message was often a little too shoehorned into the plot, but overall it was relevant, if not particularly groundbreaking. In the end, this was just an okay episode, and there are much better episodes, so "okay" lands it in fifth place. This episode was the most thematically striking of the bunch. Shot in black and white, the entire feel of it was darker and less playful than all of the episodes (expect perhaps Crocodile, but I'd rather just pretend that it didn't happen, so I'm going to ignore it in comparisons). In Metalhead, we're introduced to three characters who are on a mission to get some very important but unknown object from a warehouse. They're in a post-apocalyptic, barren landscape where cars and buildings are abandoned and falling apart, a clear sign that whatever terrible thing happened was widespread and pretty thorough. Our protagonists are discussing other people to whom they hope to bring comfort, so it's clear that there are survivors, but it seems like more of a hanging-on-by-our-teeth kind of survival than a rebuilding-society kind of survival. When they get to the warehouse, they toss a rock at a van to make some noise as a test but leave the keys in their ignition, so we know right away that whatever villain exists in this dystopia isn't human. When they find the box they're looking for (contents still unknown to us), they accidentally trigger a "dog," a robot that has been designed to serve a surveillance and protection role. And by "serve a surveillance and protection role," I mean kill anyone it encounters. It is really, really good at this. It is nearly indestructible, able to open any door lock with a its universal passcode abilities, and able to hunt down people both by shooting tracking devices into them and by using clues like blood, sound, radio waves, and heat. In other words, once you've triggered a "dog," you are very likely going to die. To underscore this fact, two of our three protagonists are killed pretty much immediately, leaving most of the episode as a tense, well-paced suspense where one woman tries to escape one robot. They both take a lot of damage. It loses a leg; she digs the tracker out of her thigh, leaving a gaping wound. She runs its batteries out; it recharges and keeps hunting. It loses its shooting capacity, so it finds a knife instead. It's like the old Spy vs. Spy cartoons but with a lot more emotional investment in one side. The thing I liked about this episode is how much I was rooting for the woman and rooting against this machine, to which I most certainly ascribed agency and intention. This was an evil robot. I hated it. The sight of it making a comeback made me angry. I was treating it like a villain. A human villain. A sentient villain. But it wasn't. It was just doing what it was programmed (and left behind--forever?) to do. In the end, the woman finally destroys the dog, but not before it fills her face and, most importantly, throat full of trackers. There is no way she can remove them without slitting her own throat, and so that's exactly what she does, killing herself rather than face the doom that's on its way to her. As the camera pans away from the house she's in, we see several dogs quickly but also somewhat mundanely and routinely marching across the barren landscape. The final scene takes us back to the warehouse where the box they wanted so desperately, the one that contained an item that would bring some measure of comfort to a never-seen but obviously-hurt companion, was stored. Its contents had spilled. It was full of teddy bears. The implications of this episode are on protectionism and the way that capitalism has taught us to value possessions and profits over human lives and compassion. Those dogs were programmed by someone to protect the contents of the warehouse, and though the humans who care about such things are long gone, the dogs remain, wreaking havoc on every tiny bit of humanity that remains with them. It's a solid episode that didn't really teach me any new lessons but made me reflect on ones I already knew in a more powerful way. The tension was palpable throughout, and the tone (though bleak) was even and consistent. This one seems to be coming out as the fan favorite of the season. It's getting high praise from people like David Sims, Darren Franich and Charles Bramesco. This is the one I have seen discussed most often, so I'll keep my recap brief. It opens with a terribly corny Star Trek spoof where the crew of a spaceship fall all over themselves to fawn over their captain, Cole (a man who looks like he would come in fourth place at a local Matt Damon lookalike contest). 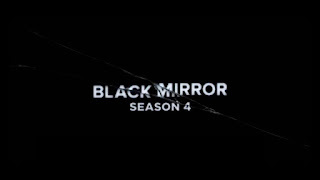 It was a jarring way to start the new season because the throwback film quality and the obviously tongue-in-cheek acting as well as the overall jovial but completely nonsensical plot (they're hunting a bad guy with a jewel or something) didn't feel like a Black Mirror episode at all. That was a glimpse inside a video game where the "real" Cole is co-founder of a gaming smash hit but garners no respect from his employees or partner. Instead of standing up for himself in the real world, he secretly collects the DNA of the people surrounding him and replicates their consciousness into the game so that he can torture them at his leisure. His character is played perfectly with equal parts pitiable stooge and sadistic dictator, a dangerous combination when he's handed God-like power. Like many episodes of seasons past and present, it explores the ramifications of consciousness being separated from the bodies that we assume hold it. The "real" versions of these characters continue on in the "real" world with no knowledge that a version of themselves is being tortured day after day. This episode adds a particularly interesting twist when an uploaded character manages to communicate with her real-life self, further throwing into question what identity and consciousness really mean. The imprisoned crew hatch a plan with the help of their newest member that allows them to escape the clutches of Cole by plunging themselves into a black hole update patch. They think this act will merely "kill" the code and eliminate their existence, but it instead strips away the modified version of the game and gives them an eternity to act of their own free will within the online version of the game, interacting with actual players from the outside world. Perhaps the most interesting to me from a moral standpoint is that I (as I suspect is true for most viewers) felt that Cole got exactly what he deserved when he ends up trapped inside the game as his modification deletes itself, his real-life body left limp and unresponsive. What does this mean about my own moral code? The crew didn't know this would happen to him, so it wasn't a premeditated killing, but even if they had, they would have acted out of completely justified self defense. Still, the "people" he tortured were just lines of code. Does everyone who has removed the door from a burning house on The Sims in order to watch them die deserve such a grisly demise? What turns a line of code into a being deserving of justice or revenge? The episode is at times overwhelmingly silly and at other times horrifyingly sad. It's an impressive roller coaster of emotions to pack in. In places, the pacing feels a little off, and some of the acting left a bit to be desired, but overall, it was a very fun and thought-provoking episode. I can see why it's shaping up to be the favorite, but there were two other episodes that outshined it for me. I had a hard time arranging my first- and second-place picks. One packed a harder punch when it came to ethical exploration, and the other packed more entertainment value. They are both superb episodes. I went into Black Museum cautious because I had seen rumblings online that said it was a very disappointing finale for the season. Caroline Framke says the end "isn't quite good enough to hold the episode together." Charles Bramesco gives it only 2 out of 5 stars. Zack Handlen calls it a "dud." Most of these critics fault it on technical lines. The set up was too complex (it has two dense mini stories leading back up to our frame story). The plot connections were overly contrived. The required level of suspension of disbelief was too much. I can't disagree with them on any of these statements. I will agree that it is not the best episode in terms of technical execution. The seams tying the stories together are much more like the oversized stitches holding together the body parts of Frankenstein's monster than the streamlined precision of, say, Metalhead. But I don't care. I'm giving it second place anyway. This episode opens with a young woman (Nish) pulling into a deserted charging station. The scene mixes a 60s feel with modern technology as she pulls out a solar panel charger for her vintage-looking car. She's stuck there for a few hours while it fills up. Looking bored, she wanders to an abandoned-looking building titles "Black Museum." This is (apparently, though I didn't know it at the time of watching) a reference to a real museum. Scotland Yard's Black Museum is full of real-life artifacts from famous crimes. My first thought (especially since Nish is black and the setting has a 60s feel) was that it referred to race. I had assumed it was a reference to George C. Wolf's The Colored Museum. After I watched the show (still not knowing about the Scotland Yard museum), I assumed that the "Black" in the museum's name referred to Black Mirror itself. This is because the museum, like the real-life one, is a collection of criminal artifacts, but they are all crimes from the Black Mirror universe. Several of them are recognizable as objects from previous episodes. The implication that all of these terrifying technologies have strung together in the same reality (and that somehow that reality is still more-or-less functional) is sobering. The museum is owned and operated by Rolo Haynes, a superbly acted conman type who puts on a magnificent performance that mixes slimy salesman with cold-hearted capitalist and unattached scientist. As Rolo takes Nish around his museum, she stops at two particular artifacts, the catalysts for the aforementioned mini stories. The first is a mesh net that fits on someone's head, a device that allows a doctor with an implant to feel whatever the wearer is feeling. At first, this gives him the remarkable and altruistic ability to diagnosis very difficult medical cases, and we are sympathetic to his willingness to put himself in excruciating pain to help his patients. All goes awry, though, when he wears it through a death, turning him into a pain-seeking sadist who first slices himself to ribbons trying to seek his next high. That doesn't give him the mix of pain and genuine terror he craves, though, so he turns to drilling through the head of a homeless man to get his fix. This leaves him in a vegetative (but ostensibly eternally blissful) state. The second object is a stuffed monkey. It turns out that the monkey still contains the uploaded consciousness of a woman who was hit by a car just as she was starting a happy new family with her partner. Her partner visits her weekly while she's in a coma. She is able to answer yes or no questions with a light up device attached to her brain, but she is otherwise unable to see or interact with her partner or son. Rolo (who worked at the hospital and was responsible for finding "volunteers" for devices like this one and the pain connector above) offered her partner the chance to download the woman's consciousness into his own mind. She could hear, see, and feel everything he could, but only he would be able to hear her. As you might imagine, this turns out to be a miserable experience for both of them. He can't get any privacy and has a constant nag in his mind. She has no agency and has to watch her whole life from the background. She starts referring to his body as "theirs," and he is clearly not on board. He eventually upgrades to a way to pause her, allowing her to only be "on" on weekends so she can see their son. When he meets a new woman, though, it becomes too much, and she is finally uploaded into the stuffed monkey, a monkey that can only respond as happy ("Monkey loves you!") or sad ("Monkey needs a hug!") Her son tires of this toy almost immediately, so she spends her life (which appears to last an eternity) as a discarded and disembodied being with no way to physically interact with the world. The most chilling part of this whole episode to me is the throwaway commentary Rolo gives for why the woman still inhabits the monkey and what makes it count as a "crime" artifact. He says that it is now illegal to upload consciousness into anything that doesn't have at least five emotional responses, and it is also illegal to delete her from the monkey. That means that the technology itself is still alive, well, and legally regulated. It also means that uploaded consciousness is akin to immortality, at least from a legal standpoint. In the end, these two pieces of technology come together as we find out Nish is not who she seems to be. Rather than a random tourist who needs to charge her car, she is a hunter on a mission of revenge. Her father (or, rather, his hologram consciousness) has been trapped in the museum and tortured until he is a slobbering vegetable. A man wrongly accused of murder, his actual body was put to death by electric chair. Rolo convinced him to give up his consciousness in exchange for financial security for his family after his death (something I assume was a lie). Visitors got to throw the switch on the man themselves, keeping a permanent copy of his consciousness in the moment of the most pain as a keychain with his hologrammed, agonized face screaming for all eternity. Nish poisons Rolo, uploads his consciousness into her father's hologram, mercy kills them both, and keeps a keychain of Rolo's final moments as her own keepsake. Then she rides off into the sunset with the monkey by her side. At this point, we learn that she actually has her mother's consciousness uploaded into her own brain, so her acts of revenge were a team effort. My love for this episode is not in its technical execution. The critics are right that it is a bit sloppy and overwrought. However, what it lacks in that arena it more than makes up for in ambition and purpose. Zack Handlen writes, "Squint enough, and you could mark Haynes as a satiric version of Charlie Brooker himself; or at least, a version of the writer the show’s most vehement critics often conjure up." In short, why do we watch this show? That’s for each of us to decide, but if Nish represents us, Rolo represents Brooker, and the Black Museum represents Black Mirror, it says a cursing mouthful that Nish poisons Rolo and lets the museum burn. Are we complicit in the same kind of torture that the museum visitors inflicted upon Nish's father when we watch the show? Or does it at least point to this same sadistic impulse within us that would make us those kinds of monsters given the right technology? The racial overtones (including a set up that feels a lot like the way slave artifacts are displayed for voyeuristic consumption across real America) and the fact that they bring back an electric chair (as the way Nish's father is actually executed in the real world, not just a prop in the museum) point to the true depravity of human beings. We're terrible to one another in the flesh. We hurt, we kill, and we justify it through notions of utility and vengeance. The question isn't what could we become. The question is what are we already. What have we always been? I'm ending on the fun one. This was by far the most enjoyable episode to watch, but that's not the only reason that it gets to be my top-place pick. It packs a meaningful punch as well. In Hang the DJ, we're introduced to a futuristic dating landscape where people are coached by a device as they are matched up with a partner for a predetermined amount of time until the machine's algorithms gather enough response data to find a "true match," something the creators claim to do with 99.8% accuracy. I spent a good chunk of this episode frustrated and incredulous. We're introduced right away to two people (Frank and Amy) on a date. They find out that their "expiry date" is only 12 hours away, so (despite their obvious chemistry and attraction for one another) they part ways and begin meeting their other potential mates. Some they end up paired with for only a few hours. Others they stay with for months and months. Frank, in particular, is tied to a terrible match for a full year. While matched, a couple must live together and, at least as far as we can tell from the show, spend all of their time together. One of the things that bothered me is that these people seem to have no other purpose. They don't have jobs. They aren't shown with friends. We don't even see them talk on the phone. They are sometimes reading while lying next to one another and sometimes jogging alone while waiting for their next match, but otherwise their entire purpose seems to be to date, knowing full well that their relationships will end, and mostly being miserable in the meantime. It becomes clear that this world has some kind of dystopian authority hanging over everyone's heads. The "matched" characters in the background seem cult-like and wooden. There are guards with tazers to keep people in line, and people aren't allowed to be together once their time is up. When Frank and Amy finally decide to run off together because they know they're truly in love and will find no one better by waiting for their "true match," they climb a literal wall in a scene that is every bit as silly as the climax of The Truman Show. Then comes the twist. Frank and Amy weren't real people. They were the uploaded consciousness of real people sent to play out a simulation to test their compatibility. We see that the versions we watched were actually the 1000th iteration of such a simulation, and 998 of the versions had rebelled to be together. This triggers the real-life Frank and Amy to both get notifications on their phones that they are near a 99.8% match, and they look up and smile at one another. There's so much that we don't know in this episode. Were all 1000 simulations the same scenario, or were virtual Frank and Amy put through the test in multiple venues and circumstances? Are there an infinite number of these virtual selves paired with literally every other participant in the program, or is there some kind of initial screening that only puts likely matches through this rigorous test? Are the virtual selves deleted after the simulation, or are they left holding hands at the finish line for all eternity? What makes this episode work so well for me is that Frank and Amy have such genuine on-screen chemistry that I was truly rooting for them. The unfairness of being ripped apart in the name of some algorithmic decision-making was visceral for me. Machines don't know more about love than people do! Of course, when they run off together, I felt vindicated in that belief, but then they turned it all around to tell me that maybe I was wrong and machines do know more about love than people do; they just had to use the very human system of narrative and storytelling to get the information. That's what ultimately makes this episode my top pick. In a (usually very bleak) reality where technology shows us the very worst of human nature, this (like San Junipero before it) gives a more optimistic outlook on the merger of humanity with technology. In both cases, though, that successful (and not horrifying) merger is dependent upon the humanities: storytelling, the mess of human emotion. Algorithms can work to make our lives better, but first they must be rooted in the stories and meaning of what it is to be human. It's no coincidence that my top three picks all deal with the same basic theme: what happens when human beings are exported out of their bodies and given consciousness beyond themselves? This idea absolutely terrifies me. The thought of not having control over my body is my biggest fear, and the scariest future I could ever imagine is being trapped without the ability to respond to the world around me. The cookies in White Christmas or the monkey in Black Museum point to the absolute horrors of these possibilities, but even the feel-good versions in San Junipero and Hang the DJ chill me to my core even as they offer a more optimistic outlook. If we enter a world where people's consciousnesses can be turned into transferable code, what's the difference between spending an eternity living your best life like in San Junipero or spending an eternity suffocating by your own mouthless face like in USS Callister? Why, the difference is simply what human coder has control, and history doesn't bode well for how that will eventually turn out.